Midsummer Scream came and went this past weekend. The anticipation, curiosity, and wonderment we all felt leading up to it was all worth it. This was such a good and fun convention. There was such a good mix of all things haunts, horrors, escapes, and immersive experiences. 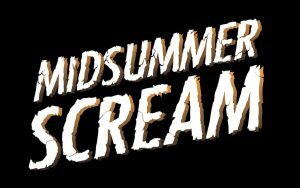 In this episode, we walk through everything we were able to experience at Midsummer Scream this year. Russell picked up his coffin tray from Halloween Psycho, we tested Blackout‘s VR experience called “The Blackout Anthology”, went a little insane with a split personality in Cross Roads Escape Game‘s mini room called “The Asylum”. We met a demon from Sinister Pointe‘s “Fear the Mark”, we hung out in a cemetery “escape” with The 13th Room, we had an intimate conversation about love with The Shine On Collective‘s Devoted: Always, we traveled on a journey of our death with Screenshot Productions “Bardo Thodol”, we saw many, MANY disturbing things in Zombie Joe’s Urban Death, we traveled alone, among a crowded city to find clues for Alone‘s DRINKSFROMYOURFACE, we were very happy to hear that Delusion is back with “His Crimson Queen”, the amazing people at Motel 6 Feet Under had us scream for them and then gave us the feels, we realized we had weird senses of smells with Escape Room in a Box, and were able to complete our quest at the 60Out escape room! We killed zombies in VR with Dread Central. We also found out about a new and free app for your iPhone from Dearly Departed Tours that gives you a celebrity death a day! Featuring mini interviews with Madison of Cross Roads Escape Games, Jeff from Sinister Pointe, Eddy from The 13th Room with special shout out to Bob from The Virus Escape Room/Fantastic Race, Carolyn from Motel 6 Feet Under (with information on the Boo Crew and Hi Tech Haunts), and Juliana from Escape Room in a Box! Please note, we had a few technical difficulties with our cables at certain times, so if you hear weird jumps or loss of audio, it’s because of that. Sorry! We’re also trying a new audio player from Clammr. With Clammr, you can select up to 24 seconds of the audio and share it on Facebook and/or Twitter. They say they are the Instagram for audio. So check it out and let us know what you think! Escape Room in a Box – Web, Facebook, Instagram, Twitter, Direct link to $10 off! Are the scream tests from the conventions on this web site?